The Highlanders are highly likely to know their fate before kick-off in Christchurch on Saturday so we're focusing on the Blues-Chiefs and Brumbies-Force matches on Friday. The winner of the Australian derby will make the finals, joined by the Chiefs if the back-to-back champions defeat the Blues; it's more complicated for the Blues, however, as they must defeat the Chiefs by 38 points while denying them a bonus point to stand even a mathematical chance of making the top six. These teams each have a reputation for razzle-dazzle and attacking rugby yet this season, going by tackling success rates, they are the top two defensive sides in the competition having completed 88% of their attempted hits. Indeed, the Chiefs' average of 13.9 misses per game is the lowest in Super Rugby this year. But the Blues' and Chiefs' respective average of 25.6 and 24.7 points shipped per game is above the competition average. The Blues have notched more points per game (27.4) than their opponents (24.9), thanks in part to their goal-kicking success rate (82%, third highest in Super Rugby). The Chiefs are perhaps more of a mixed bag, though: they are the top offloaders in the competition with an average of 14.2 per game, but that comes with a high turnover rate. They have also conceded the most penalties in the competition, which will encourage the Blues given their success from the kicking tee. Also watch for the Blues to kick possession away more often than the Chiefs, who starve opponents of possession better than any other side. At the set-piece, the Chiefs have struggled to have any impact on opposition scrum feeds or lineout throws. 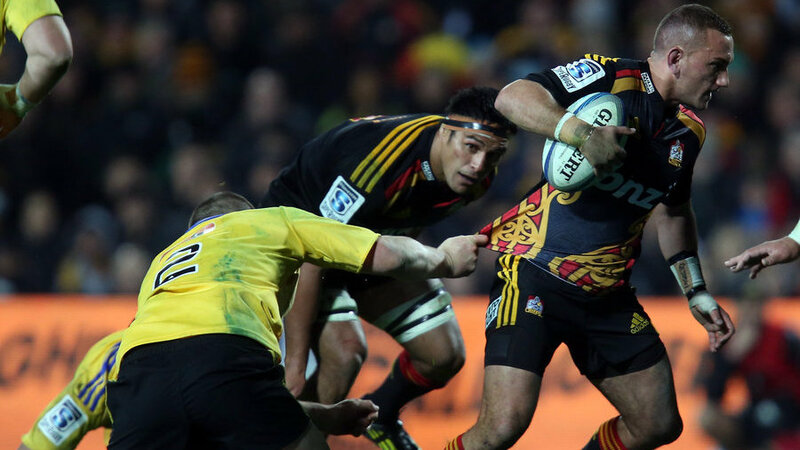 The Chiefs have scored two fewer tries (43) than the Blues this season, but they have also conceded eight fewer (34). The two sides are well matched when it comes to tries scored from the position where their possession originated, though the Chiefs have conceded half the amount of tries (6) when it comes to tries scored from possessions that originated in the opposition half. Such a stat may encourage the Hamilton side to attack from deep. With regards to the breakdown of tries, the team's first-half attacking output is similar, though the Blues have conceded four more tries (11) than the Chiefs (7) in the opening 20. The second period promises to be extremely interesting, though. The Blues have scored more third-quarter tries (15) than any other side this season, and six more than the Chiefs, but the Chiefs have touched down on 18 occasions in the final quarter - second only to the Waratahs (20) and seven more than the Blues. Hence the Chiefs will definitely fancy their chances if they are within touching distance come the 60-minute mark. The Brumbies have averaged more points per game this season (24.3) than the Force (21.2) despite their goal-kicking success rate sitting at just 64%, the lowest ratio in the competition. Christian Leali'ifano is kicking at just 47% this season (16/34) though Nic White has converted three of every four goal-kicks (39/52). Worryingly for the Brumbies, they also possess the lowest tackling (85%) and scrum (76%) success rates; given the Force have a decent set-piece and look to play multiple phases, these are aspects the Brumbies must address this week and again if they squeeze past their conference rivals if they are to harbour genuine ambitions of reaching the latter stages. 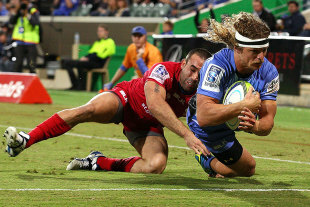 Conversely, the Brumbies cause the highest tackling success rate from their opponents, meaning they evade a lower percentage of tackles than any other side. The Force have shipped marginally fewer points than the Brumbies this season despite seeing their opponents land 85% of their goals; no other side has been on the end of a higher success rate. The Force have conceded the fewest number of turnovers this season (197, an average of 13.1) but the Brumbies have the best ruck success rate (96%) in the competition. Both sides are respectful in possession, and they are well matched when it comes to number of carries and metres - making for a likely tight encounter in Canberra. The Brumbies should look to expose their rivals in the opening half of each half, as they have scored 22 tries in the first and third quarter of games combined - double the Force's tally in the same 20-minute periods. Meanwhile, the Force have scored more tries (23) than the Brumbies (20) in the 20-minute period before half-time combined with the last segment after the hour-mark. The first quarter of the game might be especially key as the Brumbies have conceded just four tries in that time frame all season, half as many as the Force. 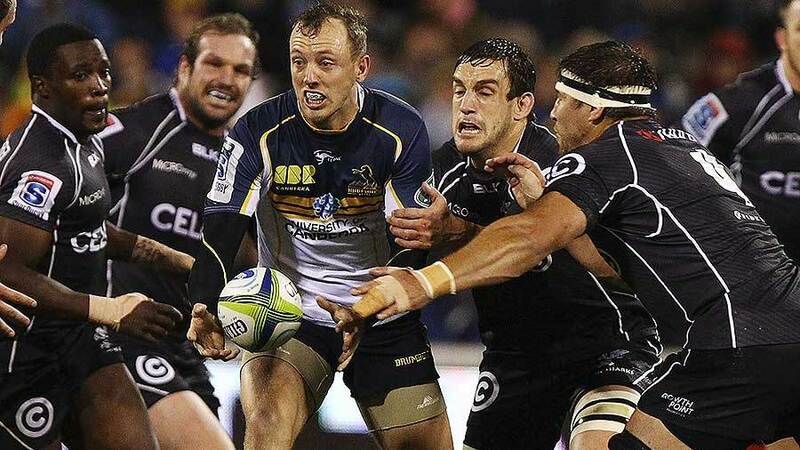 The Brumbies may be in for a long night if the Force can survive any early onslaught. As for tactics, watch for the Brumbies to rely on their set-piece to get them into positions to score tries. Despite their low scrum success rate, they have scored more tries (12) than any other side from possessions that originated with scrums; they have also scored the second-most tries from lineouts (19; the Reds have notched 20). The Force have managed 18 tries from both set-pieces combined.